Holidays in Tavira are addictive. It’s no wonder; the region resorts have held attractions for long enough which work their magic to ensure that many of the regular and new visitors return again and again, and almost everyone who takes their holidays in Tavira holds fond memories of the place for years to come, usually sharing with friends and family. Here you will be able to find most of the information that will help make your holiday planning easier and funnier. I’ll share with you important things you should know, like how to get to Tavira, or the best accommodation facilities that suit your needs, as well an overview of the best beaches and golf courses around the city that you definitely shouldn’t miss. 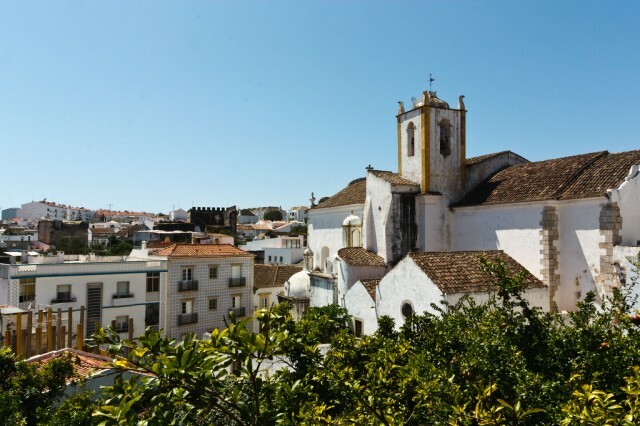 Tavira has grown very much in quality in the last decade, and the best is that it managed to keep its original characteristics that make it one of the most unique and beautiful cities in the Algarve. Tavira is not yet the “madness” of Albufeira or Vilamoura, it’s a much quieter and relaxed place — and let’s hope it remains like that. The heart of the city and places like Cabanas de Tavira, or Santa Luzia are among the most popular choices when it comes to decide where to stay. Therefore I recommend you book your holidays well in advance and early in the year (e.g. around February/March) and not to leave it for the last minute (believe me! ), like it should be done with every popular holidays destination. While I was in Tavira this Summer I noticed that the number of tourists keeps increasing despite of the actual financial conditions in general, and that when it comes to pick a good place to stay or to eat, the best places are always booked. Another thing I noticed is that tourists tend to go to the beach in the worst time possible, exposing themselves to serious and dangerous solar burnings. The Sun in the Algarve is very strong, even when the weather is cloudy, the region easily reaches over 35 Celsius. To best enjoy the beach without getting seriously and dangerously burned you should avoid being in the Sun between 12 p.m. and 4 p.m. and don’t forget to use plenty of sunscreen, and you will still manage to get a nice tan and your friends will be able to tap you on your back without hearing you scream in pain. Tavira in winter..feb./March…what is open , is it very quiet? I’d say except for the beach amenities most city bars and pubs are open. Also most hotels and resorts are working in full. The city may be quieter mostly at night, but you should have no trouble in finding open places for socializing and fun. Thanks for the quick reply…I’m planning to head to travira mid February to mid March. Would be alone for a few weeks then my girlfriend would join me. Would Faro be a better choice? Probably fly to Lisbon, then bus/train ?? To Faro area. Do I need to rent a car for this trip? Thanks, Paul C.
Faro and Central or Western Algarve are definitely more “busy” areas than Tavira. But it’s fairly easy to travel around by train or even a rented car I (if you want more mobility I definitely recommend here). Lisbon is busy all year round (and a car is not so necessary as in the Algarve) so, if you decide to go there, you won’t have to worry with shortage of stuff to do.